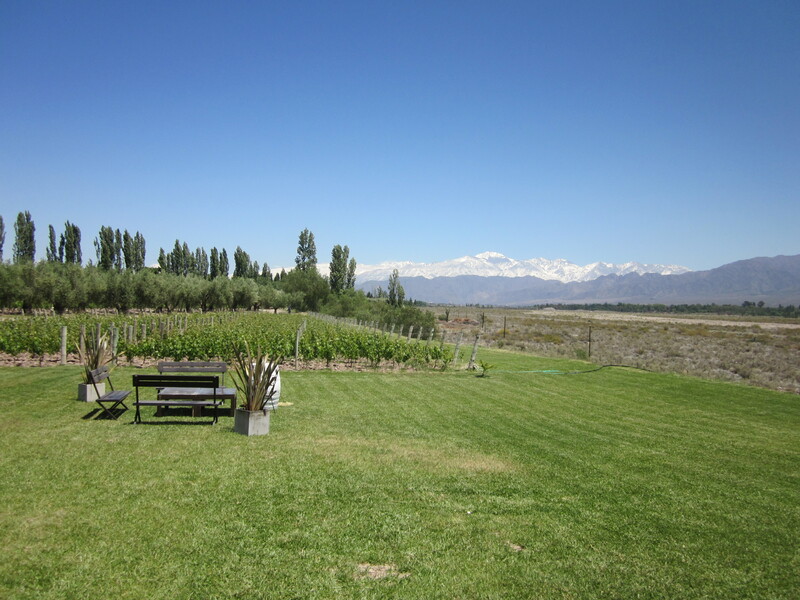 Wine tasting at Tapiz in Mendoza, Argentina, with the Andes mountains in the background. There is nothing in the world like sipping wine in Argentina while staring at the immense Andes. I spent six months in Argentina, so needless to say, I am a huge fan of Argentine wines. But I would suggest this as a vacation spot for almost anyone: in this part of the world, there is something to appeal to nearly every type of traveler. Mendoza is surrounded by dry lands and high mountains that are perfect for rock climbing; the Andes are host to beautiful trails for the novice to the advanced hiker or horseback rider; rafters flock here to explore the rapids rushing from the snow-capped Andes; bicycle riders can ride through vineyards on a tour of the region’s wineries; and foodies and wine lovers can… well, eat and drink. There is little not to love about this region. 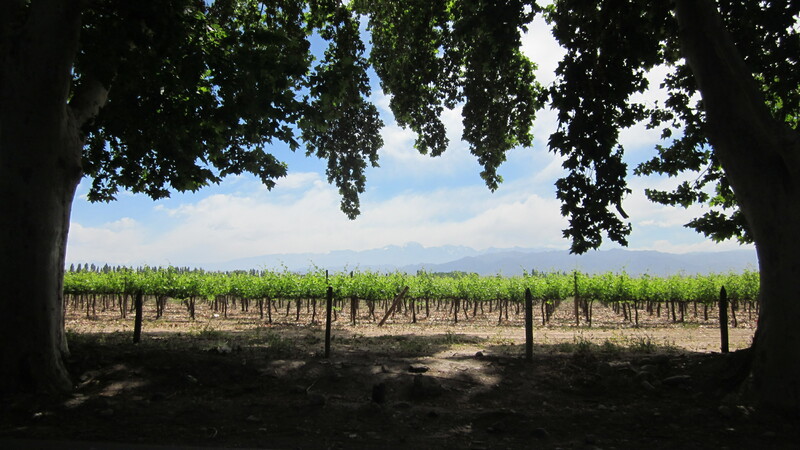 Wine tasting in Mendoza, the heart of Argentina´s wine industry, is a fabulous experience… but it requires quite a lot of fortitude for a foreigner to navigate themselves around without a tour guide, which is how I chose to spend our time in Mendoza. The following is a very quick “Mendoza 101″ for those who are thinking of traveling to this part of the country. Note: while planning our first trip to the area, I was determined not to rent a remis (a hired driver) because I wanted to save a little money. I am including transportation options to each of these areas to help out anyone who may be in the same boat, but of course, when I say that renting a car is an option, I am by no means suggesting that you drink and drive. Taste responsibly!!! Mendoza is both a province and a city within the province, making things a little confusing to the traveler (and to Google maps). 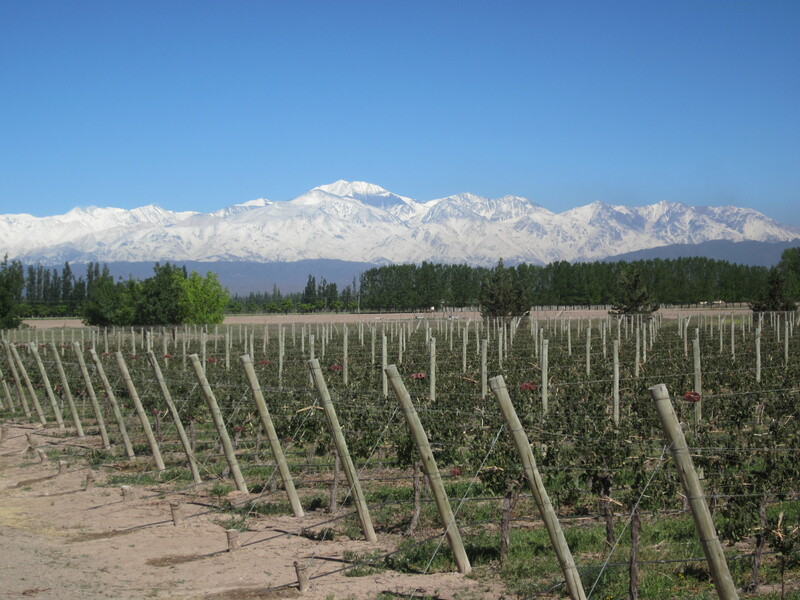 Mendoza’s three primary wine regions are Lujan de Cuyo, Maipu, and Valle de Uco. Most travelers choose to stay in Mendoza City, which is 30-40 minutes away from the Lujan de Cuyo and Maipu regions, and over an hour away from the Valle de Uco. The following is a run-down of each of these regions. Looking for a somewhat traditional (Napa style) wine tasting experience with larger-production wineries, impressive architecture, and vast cellars? The Lujan de Cuyo region will probably appeal most to you. 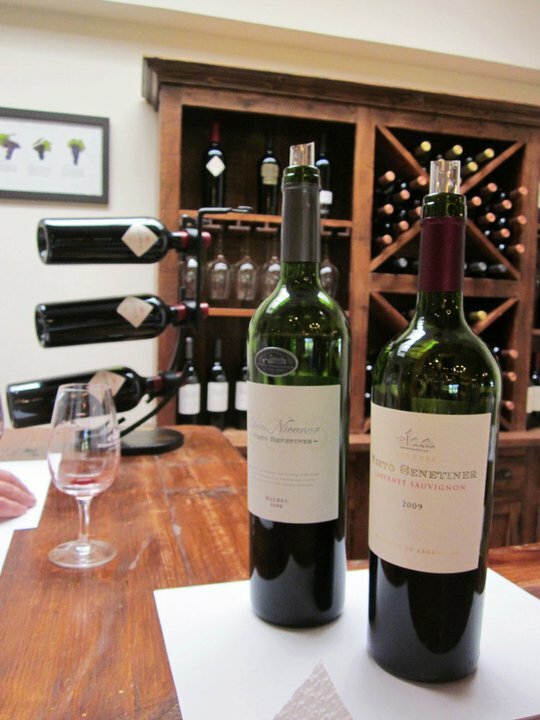 Located roughly 30 minutes away from Mendoza City, this region hosts the majority of the main wineries in Mendoza. The region has a cluster of wineries in the north and another in the south: I suggest sticking to one area for a day to save time, confusion, and (if you hired a driver or are renting a car) gas money. In the northern part of Lujan de Cuyo we visited (among others) Bodega y Cavas de Weinert, Alta Vista, Bodega Nieto Senetiner, Enrique Foster, Luigi Bosca, Bodega Lagarde, and Casa Vinicola Viniterra. The majority of these wineries are set very close to the road, so you don’t have that impressive entrance that you expect (or, at least that I had expected, being from Northern California and having spent an extensive amount of time in California’s wineries) when you enter a winery. Nieto Senetiner and Enrique Foster are exceptions to this generalization: both have stunning entrances. The great thing about this region is that these wineries are accessible by bus, and the bus is only $1.80 (peso) each way. (If you buy a “Red Card” at any kiosk, you can use it to enter the bus and it will deduct from your card each time. This is much easier than scrambling to find coins, since they are so scarce in Argentina and are the only method of payment–other than the Red Card–on Mendoza´s public transportation.) Most wineries do not allow walk-in guests, so tours should be booked in advance. We had to pay for tastings at each of the wineries we visited, but many will waive the tasting fee (which is anywhere from 10 to 25 pesos) if you buy a bottle, and most bottles start at 25 pesos. 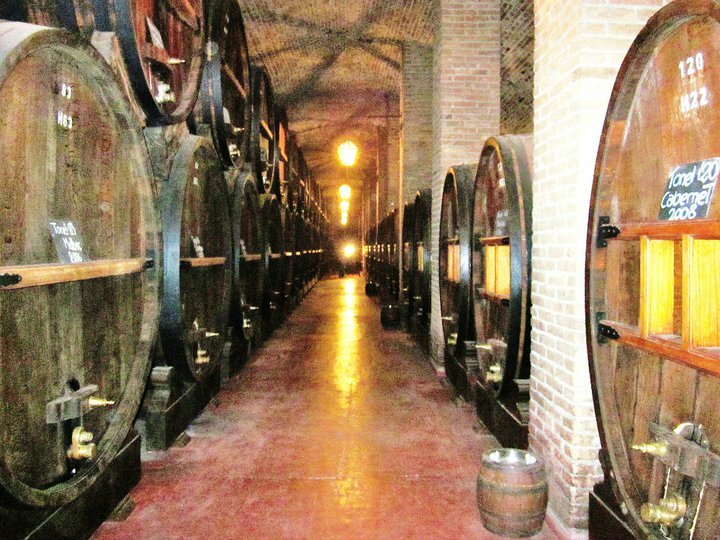 Bodega y Cavas de Weinert, located in Northern Lujan de Cuyo, has an impressive cellar and a very cold but very interesting tour of their grande facilities. 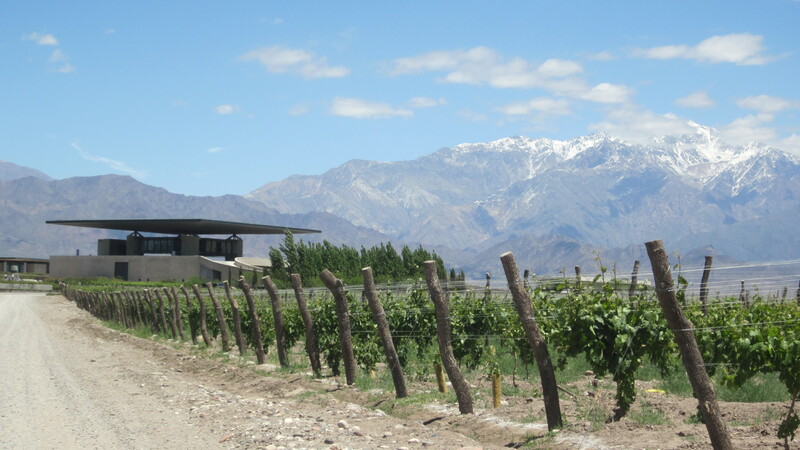 In the southern part of Lujan de Cuyo the most popular wineries (bodegas) are Terrazas de los Andes, Bodega Norton, Achaval Ferrer, Dominion del Plata, Chandon, Dolium, Tapiz, Catena Zapata, and Carlos Pulenta. I highly recommend Achaval Ferrer, which boasts the highest-rated wines in Argentina (and for a reason). They are a truly exceptional staff and I love their approach to winemaking, which is much less hands-on than most wineries, and more about letting the nature of the grape and terroir come through in the wine. The view from Acahaval Ferrer in Southern Lujan, Mendoza. Tapiz also has a wonderful tour, which includes barrel tastings of unclarified wines and a horse-drawn carriage tour of their vineyards. Unlike Northern Lujan, this region is not nearly as accessible by bus, but it is possible to catch a bus to the small town of Chacras de Coria and rent bikes from there. Chacras has some great restaurants too, so if you would like to end your day there at a nice restaurant, you would not be disappointed. You can hire a remis to take you to these wineries, or, if you would like to save a little bit of money, you can take the bus out to Chacras de Coria and then hire a remis from there. It will save you a little bit of money if you are pinching pennies. Another option is to rent a car: a typical price is $50 (USD) per day, plus gas. A word of warning: do not rely on Google Maps for directions to wineries. They proved to be inaccurate more than once! The Maipu region is by far the most user-friendly for tourists. The upside? It is easy to get to by public transportation, renting bikes and getting from one winery to another is simple, the maps are accurate, the wineries do not require reservations and welcome drop-in tourists, and they are open much later than the wineries in the other two major regions. The down side? It is incredibly touristy, and the wines are not as exceptional as in Lujan de Cuyo or the Uco Valley. With that being said, it is a very fun and casual way to spend the day. After an approximately 40 minute bus ride, the bus drops you off directly in front of Mr. Hugo’s, the most successful bike rental business in the area. They are incredibly friendly at Mr. Hugo and starting the day off being greeted by the smiling owner made my day. The bikes were a good quality and only cost $30 (pesos) to rent for the day, and we received a bottle of water when we started and a glass of wine when we returned the bikes, plus an accurate map of the region, which was welcomed after our confusing day (thanks to Google Maps) in Lujan. I was apprehensive to take this trip as I had read many other travel blogs where writers said that they “nearly died” on the roads and that they had a terrible experience because of this. There is not a bike lane, and there are quite a few trucks which pass by in several stretches of road, but altogether I found it to be much safer than what I had anticipated. 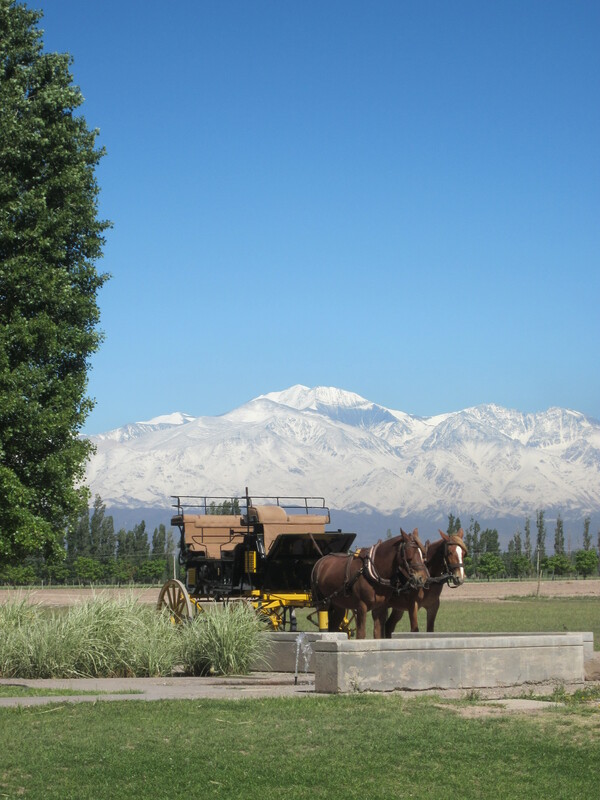 A highlight of the Maipu region was Familia di Tomasso, which has one of the oldest wineries in Mendoza. Now a historical landmark, the family-operated winery has old world charm and appeal. Their nearly century-old brick fermentation tanks are impressive, and I loved how they turned one of them into a spiral stairway leading down into their underground cellar. If you truly love wine and don´t mind spending a little bit more money on a day of tastings, I highly recommend this region. Located over an hour from Mendoza City, the Valle de Uco area is definitely the more rural of Mendoza´s three regions. It is also closest to the Andes and has the most stunning views of the mountains. We rode in awe through the vineyard lined roads (some freshly paved, many dirt and gravel) while on our way to Andeluna and O. Fournier. Tasting in the Valle de Uco is definitely much different from tasting in Maipu or Lujan. The wineries are MUCH farther apart, making biking next to impossible, and it also makes it quite difficult to fit in more than 2 wineries in one day. As with the Lujan de Cuyo region, nearly all require reservations, yet the hours of operation are more sparse than in Lujan. All in all, tasting in the region requires a lot more work. Is it worth it? Absolutely. You simply cannot leave the area without having lunch at Urban, located in the O. Fournier winery: their five course meal and wine pairings were phenomenal, and just $40 (US) per person. (Read all about it by clicking on the link.) Their views of the Andes from their restaurant are spectacular. There is a new tour bus to the Uco Valley which costs $100 (pesos) per person, yet it is in its infancy and currently only runs on the weekends. Check out their website for more information: www.busviniviticola.com. Remis to this area are more expensive considering how much farther it is than the other two regions. We rented a car and as with every other experience driving, had an incorrect map (this time thanks to our travel book), but thankfully the locals were helpful and set us on the right path. You really can’t do more than three tour and tastings in a day: keep that in mind when you are tasting. The only region where you will be able to fit in more wineries is in Maipu, where their tours are shorter and more frequent and their hours of operation are much longer. Dress code at the wineries is surprisingly casual. Having spent a significant amount of time in Napa, where half of the fun of a day of wine tasting was getting slightly dressed up, I was shocked by this. It makes sense when you realize that the majority of the wineries are catering to bicyclists. Wineries are horrible at returning calls, emails, etc. In fact, I would like to personally thank Achaval Ferrer and Alta Vista: they are the ONLY two wineries who responded to my email within a day. Many of the winery websites have numbers which are incorrect, or simply don´t answer them, and in several cases (I´m talking to you, Atamisque… and Terranzas de los Andes… and Nieto Senetiner… and Andeluna… and Cavas de Weinert) they just simply don´t get back to you. I am STILL awaiting those return emails, guys! For this reason, it might be in your best interest to go with a tour group. Tour groups are great for many reasons: most importantly, they bring ease to the traveler who is probably more than a little lost while in a foreign country. Feel free to contact me personally if you have any questions: I am more than happy to help. Enjoy your time in Mendoza!